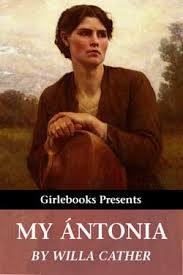 An essay for a My Antonia summary analyze Willa Cather’s novel. A summary of the historical novel My Antonia can be custom written by the writers at Paper Masters. Our writers will summarize the novel and any aspect of the characters, the plot or the literary elements. Telling the story of narrator Jim Burden’s childhood in Nebraska, Willa Cather’s My Antonia focuses on the friendship with the titular character that shapes the narrator’s young life. Despite a growing friendship, the two experience a rift after the suicide of Antonia’s father due in large part to the additional burdens now placed on Antonia’s family and her focus on their needs before that of her relationship with Jim. As they reach high school age, Jim continues his studies while Antonia begins work as a housekeeper, only furthering the different paths the characters take. Jim’s life is marked by success at Lincoln University and then Harvard University; Antonia’s life is marked by a failed relationship due to her fiancée abandoning her and an illegitimate pregnancy. While Jim does come back to visit Antonia one last time, it will be two decades before the two see one another again. He becomes a successful lawyer in New York City, content with leaving his rural Nebraska roots behind him, and she has married a man named Cuzak who shares ethnic origins with Antonia and her family. The two childhood friends, while experiencing completely different life journeys, make a pact to support one another as they grow older, resolving to never let their friendship sit idle on a shelf as they had for the past two decades. Jim realizes that his life has made a full orbit: his memories began along a country road in Nebraska with a dear friend named Antonia, and the story concludes with him traveling that same road, looking forward to all that he has accomplished and what his life now brings him. Fiction - Essays on fiction look into the branch of literature in which the narrative stems wholly from the author’s imagination. Willa Cather - Willa Cather research papers examine her life and her most famous works, such as The Novel Demeuble. Paper Masters writes custom essay for a My Antonia summary and analyzes Willa Cather’s novel.